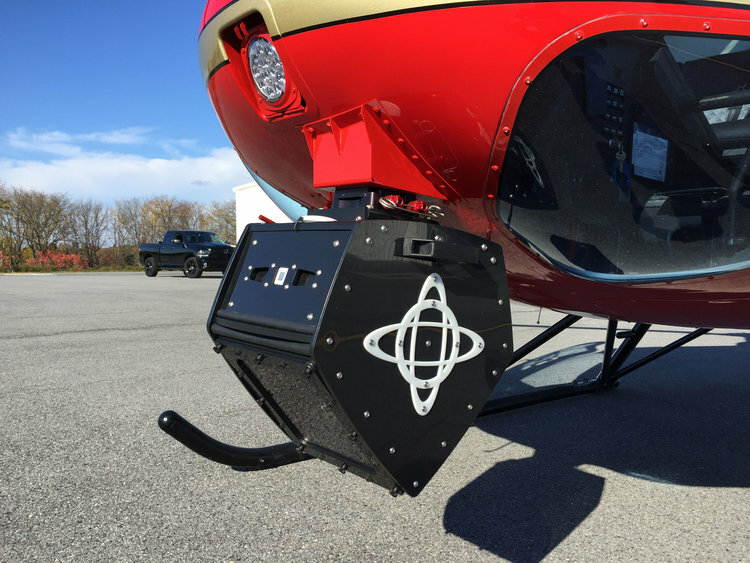 We currently offer the proprietary Skybox 360 which features a gyro-stabilized fixed box that protects the gimbal from wind and vibration. The Skybox 360 allows 360 degree panning since the entire bottom window section pans with the DJI gimbal. You will have your own monitor to view live footage. We recommend that you or someone on your team be on the flight for the best results. This video shows the new Skybox 360 auto sync feature. Skybox's lower window section automatically pans to keep the glass in front of the camera lens at all times. The camera operator simply pans the camera using the DJI remote and the Go app and the window stays in front of the lens automatically. The camera is a 4K DJI X5 RAW Micro 4/3's camera with interchangeable lenses and remote controls. U.S. numbers, leave country box blank.